The Marketing Consigliere knows many great B2B professionals in the Marketing Automation space. Many of them are great evangelists spreading the word of the promise of the growing number of tools out there that help firms drive revenue by aligning Sales and Marketing. However, he feels that there has not been a sufficient model that sets the stage for the transformation necessary to take advantage of all of these revolutionary tools. Therefore, he has laboriously come up with a white paper that attempts to explain this through an analogy with a proven application of the model- that of the warrior, who seeks to dominate his enemy. This white paper is also an experiment – The Marketing Consigliere seeks feedback from other Marketers on this paper and will incorporate the input that helps make it better – instead of calling this “crowdsourcing,” he prefers to call this pro-sourcing. 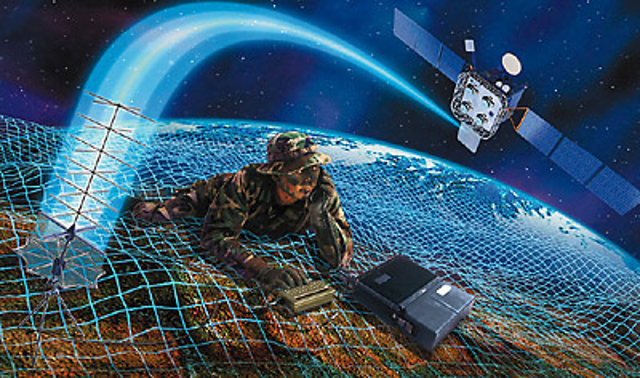 This white paper, Net-Centric Marketing & Information Superiority, takes you technologically from the Pentagon to Wall Street and Main Street. It is content rich at 12 pages – and is not meant for those who can’t stomach trippe and grappa, nor think strategically in a technological way. But those who patiently read it with an open mind will come to understand the model it presents for becoming a Net-Centric Marketing organization utilzing marketing automation – in other words, being better able to gather, store, analyze, share, and act upon data that drives revenue for your firm. It is a visionary look into the future of Marketing – some of the “for instances” may seem like “pie in the sky” scenarios, but they are not technically unfeasible. 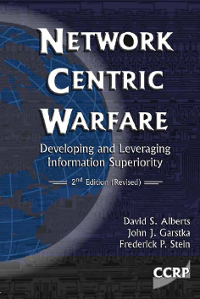 The inspiration for this whitepaper and a catalyst for The Marketing Consigliere blog was a book written 10 years ago by David Alberts, John Gartska, and Frederick Stein – Network Centric Warfare – Developing and Leveraging Information Superiority. Reading this book, while old in Internet years, will give you an objective look at a way to improve an operation by improving its data processing and communication. If you read this work, you must do it constantly asking yourself how you could apply its principles to your situation. Ironically, the book also uses business case studies as examples for the military to follow, and now The Marketing Consigliere is asking you to follow the example of the military. No, The Marketing Consigliere is not becoming The Marketing Crackpot. Marketing is warfare, albeit without shedding blood and physical destruction; it is a contest- jobs are created and destroyed, fortunes are made and lost, and it can be a zero-sum game. Information superiority can give the organization a strategic advantage over its competitors. The imperative of becoming more efficient at moving data within the enterprise can determine who the ultimate victor is in that zero sum game. The challenge is also moving the correct data, and not moving data just for data’s sake. While there have been a significant level of “warrior” parallels and concepts adopted (“guerilla” marketing, Sun-Tzu, and scores of leadership books based on US Navy Seals, Marines, fighter pilots, West Pointers, etc.) those focus on individual or team behavior and not on the incorporation of new tools and technologies behind what the Marketers need to perform their job. As a comprehensive approach to both strategic and tactical marketing, those analogies have lacked a certain level of practicality which guides the marketer in truly integrating, monitoring, and acting upon the vast set of key performance indicators (KPIs) and other data that impact the enterprise revenue efforts. The steady influence and reliance on communication and computing technology by Marketers has been analyzed by all as a phenomenon that is both irreversible and logical given globalization and higher expectations by investors and corporate leaders. Being the “first to market” or being able to quickly take advantage of short windows of opportunity makes an impact on revenue and hence Wall Street. And the recent catch-all phrase of “Web 2.0,” while focusing on truly remarkable technologies and a viable marketing culture, is still evolving and should not be looked upon as a definitive marketing ecosystem, but rather diverse components of a much larger and robust one. Enterprise Marketing Management (EMM) or Marketing Resource Management (MRM) certainly are mainstream concepts and address the platforms necessary to control marketing efforts within an organization, but they are rather limited, IT-centric terminologies and do not go far enough to emphasize the importance of intelligence gathering and also fail to create the mindset that Marketers need to effectively direct an organization rather than merely manage campaigns and tactics. “Velocity Marketing,” on the other hand, indeed implies an escalated pace and perhaps even an urgency in contemporary marketing management, but it does not paint a complete picture of the complex technological undertaking and various contextual scenarios in which truly successful marketing management must perform. While sources of data are growing in number and data is being generated at an ever accelerating pace, conventional wisdom notes that not all of that data possesses value to the firm. This is the first in a series of excerpts from Allinio’s white paper Net-Centric Marketing & Information Superiority. Stay tuned to this blog for the next excerpt, which covers the origins of the concept of Network Centricity.